In the beginning of February this subject takes over the entire media. I decided to add my own contribution to romantic flow of love and happiness. Idea was hinted to me by vegan blogger from the US Alina Zavatski, author of VeganRunnerEats. Alina is a marathon runner and a heavy athlete. Alina was born in Uzbekistan and lived in Russia till emigrating into the US. Alina writes about romantic dinner usually consisting of 3 course – appetizer, main course and desert. Now time to select most romantic kitchen of the world and select vegan recipes from vegan bloggers (or their video). Afterword is a personal choice. Italian. Names for Italian dishes already sound like music. Italian chefs definately sing (personally heard this) while preparing their tiramisu, fetuccini, rizotto, minestrone, foccacca, antipasti. Sun, ocean and spicy grass aroma, manifolds of colors, exitement with the world – isn’t it romantic? Greek.Sun’s and nature’s beauty favorite, greek food presented the world with unpretentious yet bright and aromatic food, filled with happiness and energy, dance and happiness: olives, fruits and vegetables, soft cheeses that are even used in making deserts. French. French are known gourmets who built food into cult. Its possible that their interest to food takes over interest in love. This exquisite kitchen is known for its sophistication and being artistic. Georgian. This kitchen being one of the oldest in the word, deserved winning its place on gastronomical Olympus. Extravagant souces made of vegetables, berries, fruits, bright and big selection of herbs, spieces, nuts and berries. And all of this surrounded by colorful vegetables and herb which Georgia is known for. Japanese. In Japan its adopted to enjoy food twice. First to partake by just looking at it and then to taste it. Just the Japanese style of serving the food, by itself is ta total surprise and delight. Preference is given to less processed products which give natural color and freshness. BTW mastery of Japanese confectioners is known to be one of the highest in the world, they even beat the French in subtleties of taste and unusual combinations. I selected one recipe for each category for each kitchen. All recipes are vegan and chosen from different blogs. 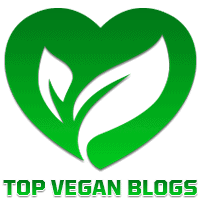 Blogs are also vegan. (if you find non-vegan recipes in these blogs please let me know). CLassic Italian soft Ricotta cheese made from tofu from VeganKitchen surrounded by classical Italian Antipastas (olives, baked bell pepper, marinated artichokes, sun dried tomatoes, baked eggplant and zucchini splashed with balsamic vinegar) immediately create sunny atmosphere and makes feeling of being in love even more pronounced. Greek almond feta cheese from my personal collection (Magic Green Kitchen) can be spreaded as a base and decorated with pieces of vegetables, herbs, halves of berries or grapes and can be served with crackers and cranberry jam. Or prepared classic Greek salad – romaine lettuce, with sliced cucumbers, tomatoes, onions and olives, as shown in Video VolkoMoloko. BTW VolkoMoloko sells vegan feta cheese. Well known Commander, politician and lovelace Charles de Gaulle used to say: “How can a country with 246 types of cheese be managed”. This type of cashew cheese from Recept.Vegamag can be served as an appetizer together with green salad,crackers and fresh figs to tune into the sweet vibes. Lobio is known in Georgia from the ancient times. Lobio from string green beans from Veganstvo will not leave anyone indifferent. Known palette of breathtaking Georgian herbs and spices will create an elevated mood. BTW one of the leading trends of this year is taste of Georgian spices. Tender rolls made of cucumber and avocado Japanese style from Vegan Nezhdanchik will add lightness to romantic dinner and unusual way of serving will intrique. 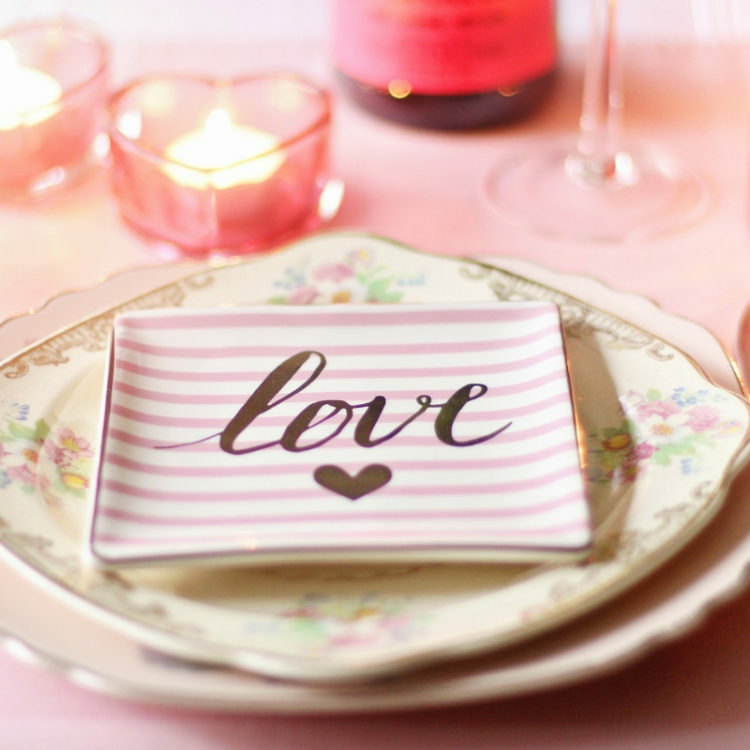 Delicate, tender and passionate feeling is expected from ideal romantic dinner. With this in mind recipes for main course were chosen. If the Italian antipastas add solid foundation for happiness then bright spaghetti with carrots and peanut sauce from Веган для Всех will create feeling of lightness for meal and conversation. Peanut sauce is here to add just a tiny bit of spiciness to a lovely conversation. Greek veggy musaka with lenthils from Vegan is capable to seduce even the coldest person. Opening this dish layer after layer allow yourself to open up and dive into the ocean of mutual love. Kish Loren or classic french open face pie with onion from Michail Vegan will make one forget all worries and stress and dedicate to themselves and pie melting in the mouth. Need something spicier? Georgian spicy Andjapsandali from IndiCindi will wake passion from the deepness of one’s heart. It can be served classically in deep clay plates. Or can be served in the fancy style by building a round tower on a big thin porcelain plate with the help of cooking rings and decorated with herbs. Japanese Tempura made from veggies and seaweed from Veganna will surprise, delight and inspire at the same time. Unexpected taste of familiar products is the great reason for new impressions in relationships. Would you like new experiences? Offer your second half to cook tempura together during the dish change. Desert is always saved till the last. You will never miscalculate with Italian tiramisu from Green Kolibri. Never ending La Dolce Vita. 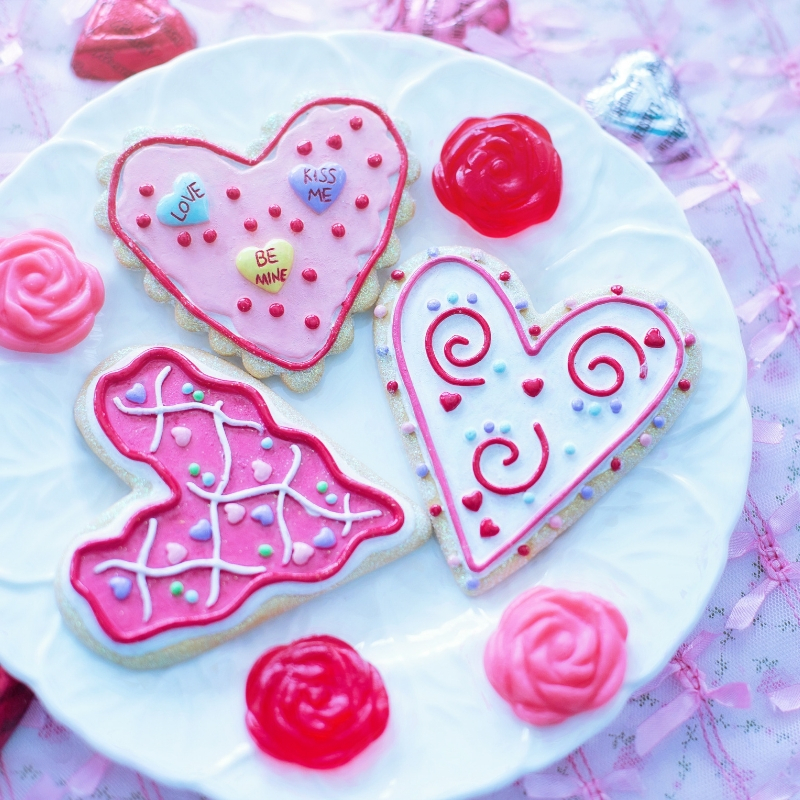 Do you need more romance on the sweet? 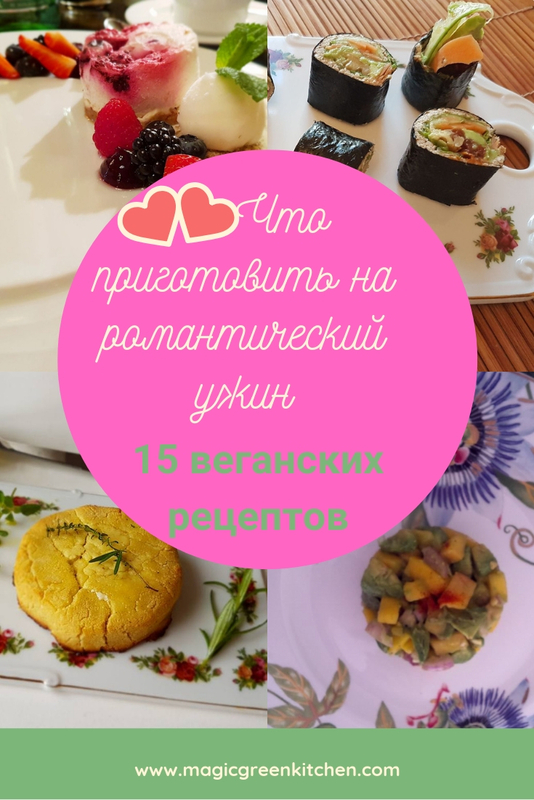 Pink cheesecake from Mila Shaforostova, nutritionist and vegan chef aka Greenmila will become the culmination of romantic dinner. Her recipe doesn’t contain unnecessary fats and sugar free. Even that cheesecakes got their modern day recognition in the US – they were invented by the ancient greeks. First mention of cheesecake was in the notes of Greek doctor Aegimus in the 5th century BC who wrote an entire book about the art of making cheesecakes. Chocolate truffles from vegan house maker in Boston can drive one insane. She came up with 3 different tastes for these sweets. They were named after a very expensive truffle mushroom, looks just like it and just as precious and refined. Only for specific occasions. BTW chocolate lifts mood and known to be aphrodisiac. Fruit pastille Tkapali is enjoyed not only in Georgia – this popular desert is known all over the Caucasus region. Historically it was made from plumb puree but modern chefs love to experiment with different fruits and berries as well as adding nuts. Apple pastille from Anna Ivanova, project Vegan Recipes, can be used as a culminating point for dinner. With elegant Japanese deserts from Shakami Yakobi, vegan from Israel you would no doubt conquer any impregnable fort. Shakami lived in Japan for a long time and her blog contains lots of interesting recipes. I used translation from Russian edition Vesti. Even that her blog is in Hebrew, she also uses English in her Instagram. Japanese deserts are less sweet and are served in smaller portions than we are used in Europe or US. 2 deserts to chose from: pudding kuro goma with black sesame seeds and small pancakes stuffed with filling made from kidney beans. Need more ideas and vegan recipes? They can be found in the links in this article – all of them are vegan. My previous Valentine Day post “Best gift – raw tiramisu recipe” was created with help of Olga Artemova. As well as holiday “Tartar mango with avocado recipe”. 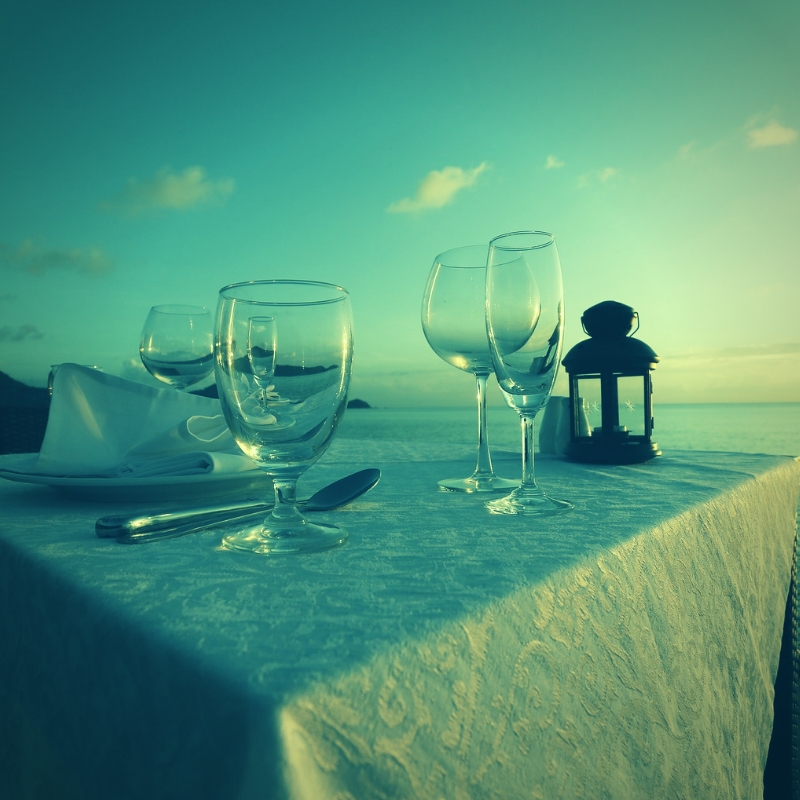 Do you prefer restaurant for romantic Valentine dinner? Happy Cow app will help to quickly chose vegan options. Not sure how to select a gift? Hope that my 12 ideas for vegan gifts will help to come up with the best option. Wishing you love, happiness and mutual understanding.